Amazon killed the bookstore. Now it's opening one. It was "day one" at Amazon Books, the tech giant's first brick-and-mortar store in New York City. It looks and feels like traditional bookstores, but it's a little more complicated. And folks who aren't digitally savvy may end up paying more as a result. The store, which carries 3,000 book titles, is located at the Time Warner Center in Manhattan (conveniently the same building as CNN's office). It also carries Amazon (AMZN) tech products, like the Echo and Kindle, for shoppers to try out and buy. All of the books face outwards, so customers get a good look at the cover. Signs underneath each book display the number of stars it's received on Amazon.com and how many reviews it has. But there isn't a price listed, which is intentional. The cost varies depending on whether or not you're a member of Amazon Prime. Using the Prime app, shoppers can scan the book's cover to see the price in the store. (Prime memberships cost $99 a year.) Non-Prime members pay the book's list price (found on the book itself) -- which is often not cheap. Confused? It doesn't end there. To get the Prime pricing when you buy, the employee at checkout scans a QR code in the Prime app. You can charge it to your Prime account or pay with a credit card -- the store doesn't accept cash. "It seems to be a vehicle to drive people to the app and to being a Prime member," one customer, Jennifer Rak, 36, told me. Rak, who lives in Manhattan, said she is already a Prime customer. When I asked Jennifer Cast, vice president of Amazon Books, whether Amazon's foray into brick-and-mortar is a mechanism to convert more customers into Amazon Prime subscribers, she deflected the question. "Our main purpose is to help people discover great books. It's that simple," she said, adding that it is "certainly great" if customers want to take advantage of Prime's discounted pricing. The store is Amazon's seventh in the United States. But it has plans to open six more this year, including a second store in Manhattan. Cast notes that the stores are a "blend of art and science." 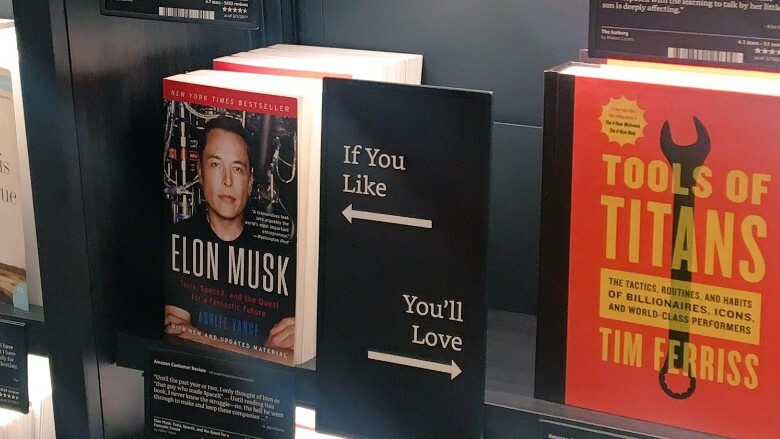 The books are categorized in a way that makes it clear how the retail behemoth is using its troves of data. Sections of the store include: "Books Kindle Readers Finish in 3 Days or Less," and "Fiction Bestsellers in New York City." There are also recommendations, just like you'd find online. 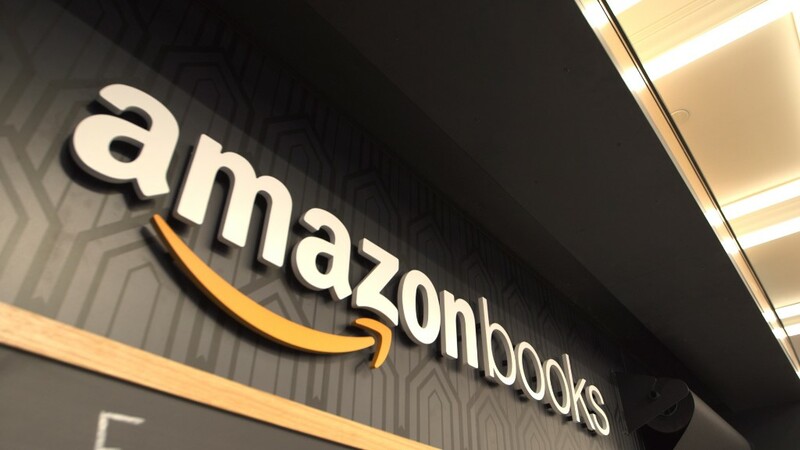 Amazon has long been criticized for putting traditional bookstores out of business. Borders, for instance, occupied space in the same Columbus Circle shopping center until 2011 when the company shuttered all of its nearly 400 retail locations. So, can Amazon Books succeed where others have not? "We sure hope so," said Cast, noting that the goal is to bring customers a new way of shopping. "We have 20 years of experience delighting people online."